This pie will impress all your relations. Purple potatoes are rich in antioxidants and phytonutrients, have been known to help reduce blood pressure, are affordable, and last but not least, are absolutely beautiful. If you're going to make a pie, it may as well be this one. If you don't have purple potatoes on hand or available near you, you can sub regular sweet potatoes -- it will taste about the same, it just won't be purple. As with all desserts, enjoy this treat in moderation only. Confession! We used a pre-made, gluten-free frozen crust that we found in the grocery store. If you are more ambitious / have more time on your hands, google "gluten free pie crust" and you will find a whole bunch of homemade options to try. Consider incorporating ancestral corn flour (like Iroquois white corn or Pueblo blue corn) into your pie crust recipe. We had some Pueblo blue corn on hand, so we added this optional topping just for fun. It offered an extra crunch and some flavor, and smelled really delicious. 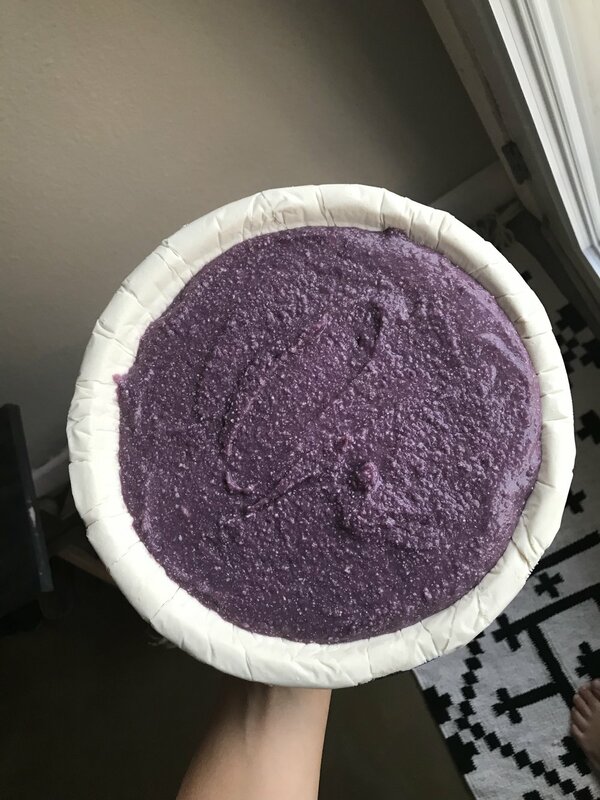 The pie is still great without the topping, so if you don't have blue corn flour, another ancestral corn flour, or a nut flour (like almond flour) on hand, we recommend skipping this step because you should ALWAYS avoid white flour at all costs. 1/2 cup blue corn flour (or another ancestral corn flour, or almond flour, or coconut flour - may have to adjust amount). Prepare the crumble. Combine all ingredients in a bowl. (Make sure coconut oil is soft). Feel free to adjust ingredients for preferred taste / texture. Set aside for later. Boil until soft and mushy. In a mixer or with a sweet potato masher, blend all filling ingredients. Add or subtract sweetener, spices, and amount of non-dairy milk to achieve a creamy yet thick consistency to your preference. Remove from oven. Add blue corn crumble topping. Bake for another 30 minutes, approximately. Pie will be done when a toothpick comes out clean. Allow to cool before serving. Instead of ice cream or Cool Whip, consider serving with a homemade coconut milk whipped cream.